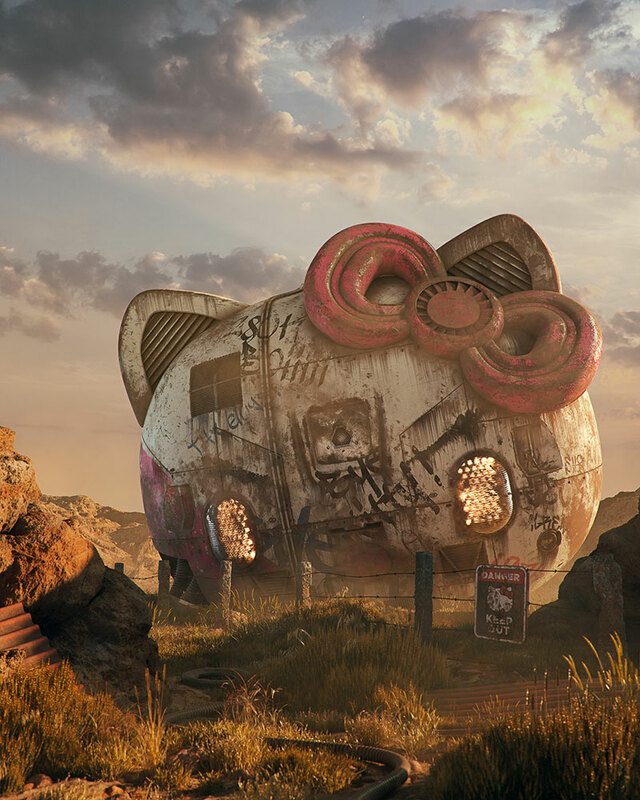 This ongoing series by Prague-based 3D artist Filip Hodas takes pop culture icons such as Hello Kitty, Invaders, Pac Man, etc. 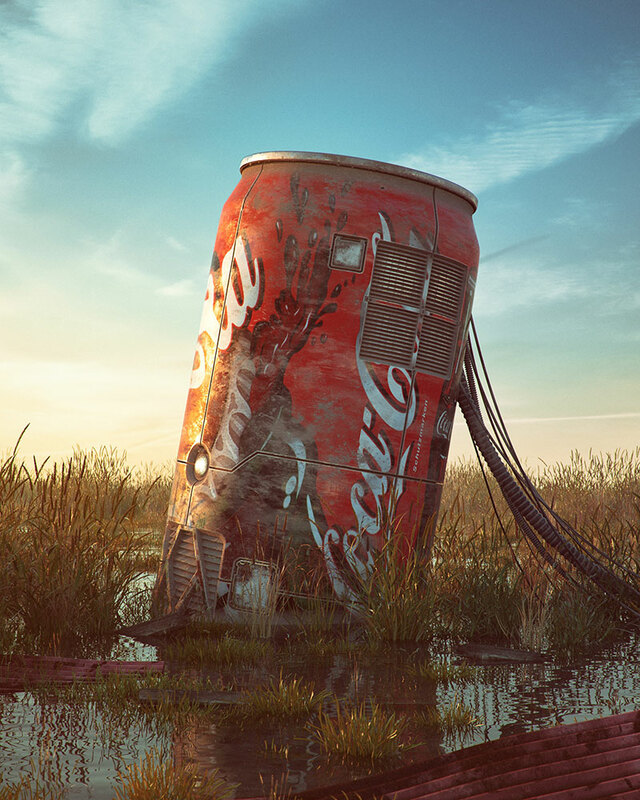 and applies a dystopian, post-apocalyptic look to them. 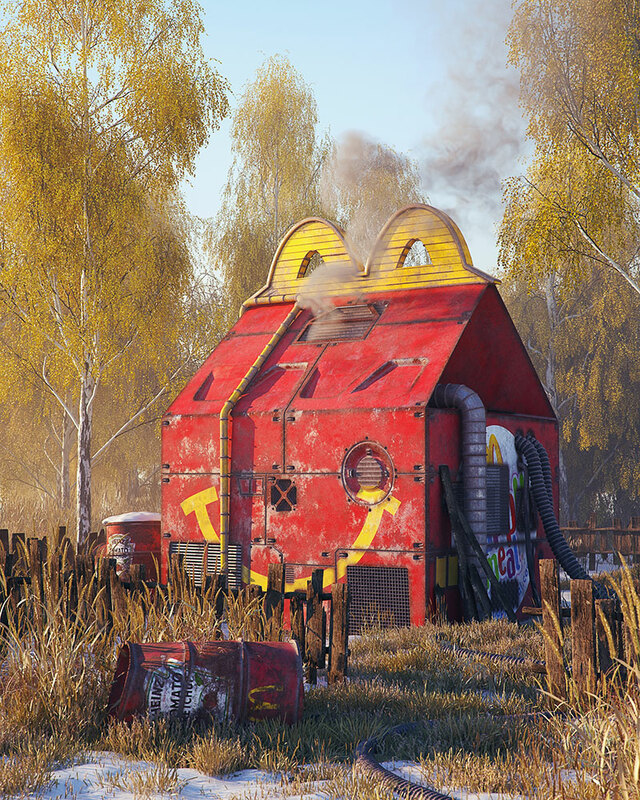 Similar to the work of Simon Stalenhag, the artist uses well-known cartoon characters, video games, fast food brands and other imagery to litter the landscape of his pop culture apocalypse, providing us with sense of nostalgia and foreboding. 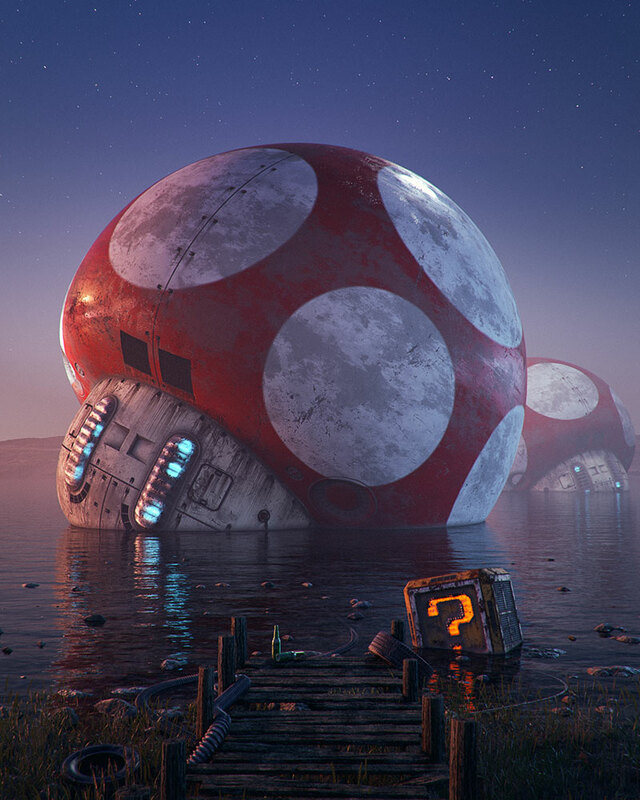 Using a variety of software, his main goal for creating this series was to learn how to use Substance Painter and how to implement it in his texturing workflow. 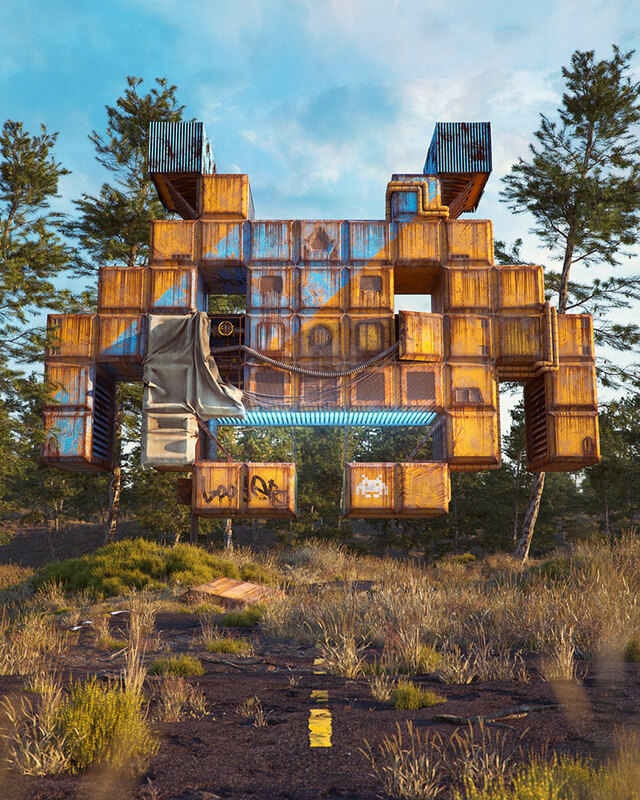 See more of Filip Hodas' work on Behance or purchase prints here. 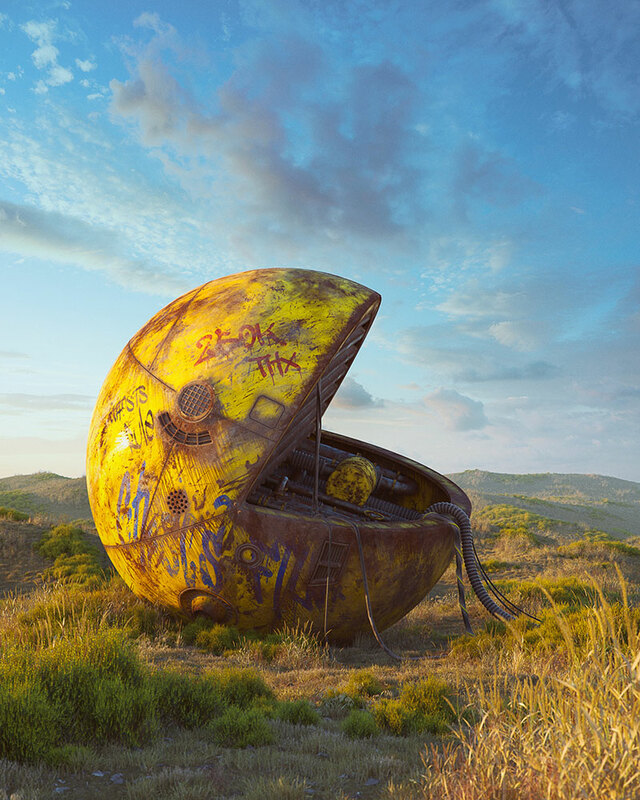 This ongoing series by Prague-based 3D artist Filip Hodas takes pop culture icons such as Hello Kitty, Invaders, Pac Man, etc. 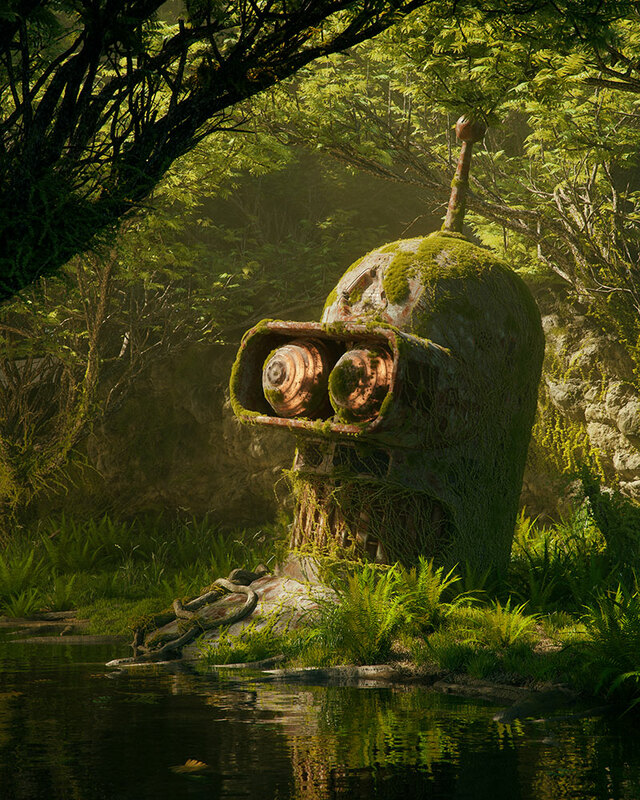 and applies a dystopian, post-apocalyptic look to them.